Join anytime to share good company and a time to work on making baby dedication blankets for Sunday Dedications, and prayer shawls for those coming out of human trafficking. From beginner to advance levels anyone is welcome! Just bring your own supplies and get started! Knitters are welcome too! There is no sign-up necessary for this class. 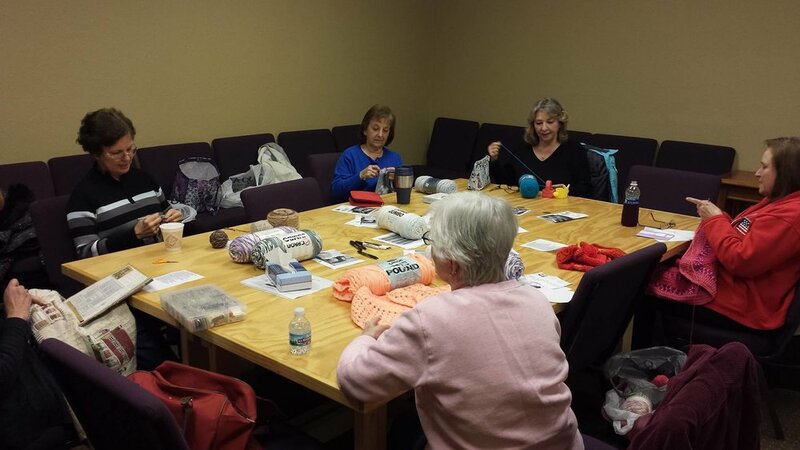 Below are some pictures of our amazing crochet ladies hard at work and having fun!